After a year of writing, interviewing, researching and re-writing, How to Raise a Mindful Eater: 8 Powerful Principles for Transforming Your Child’s Relationship with Food, is here. The goal for 2016 was to have at least two books published but instead, I have one. I realize that I can’t rush the process. The book highlights 15 experts, a dozen or so stories, and contains 185 references. I’m proud of it because as far as I know, it’s the only book that approaches a child’s relationship with food from so many angles. For the last seven years, the most frequent question I get isn’t about picky eating, but children who like food or sweets too much. In almost every one of these cases (except one), the family provides healthy food. In fact, most of the time these are ultra healthy homes with oodles of fruits and vegetables. 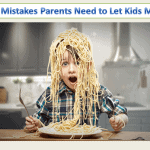 Most parents are surprised that food alone hasn’t solved eating-related issues. The reason, which I detail in How to Raise a Mindful Eater, is because it’s not about food but a child’s relationship with food. When people search for answers focusing solely on controlling food (something I call The Food Framework), it can harm the child’s food relationship causing more problems. 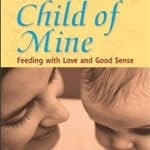 But when people adopt a Mindful Framework — utilizing the 8 Principles in the book — they learn to problem-solve their child’s eating and get to the root cause. If you’ve been reading my blog and other books some of what is in the book will sound familiar. 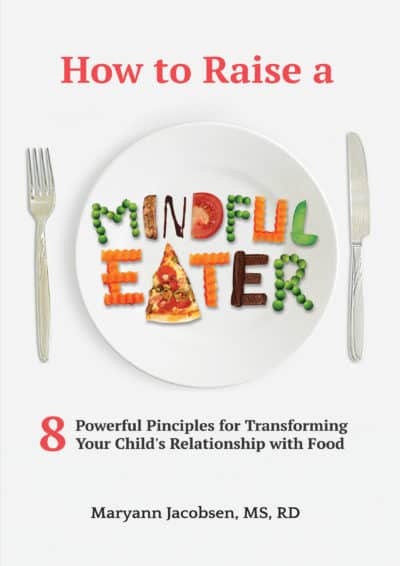 How to Raise a Mindful Eater focuses on an internal approach to eating such as structuring meals, listening to hunger and fullness, and paying attention while eating (Principles 1 and 2). The rest of the principles deal with all the factors that get in the way of maintaining an internal approach to eating. Parents often write me saying they tried to let their child honor his feelings of hunger and fullness, but it didn’t work or it was too hard. This is why Principles 3, 4, and 5 focus on helping parents manage kids’ natural inclinations with food. Most kids will enjoy sweets more than adults do because of their growth and development. They are also more motivated by taste than health and typically take a while to warm up to nutrient-dense foods like vegetables. 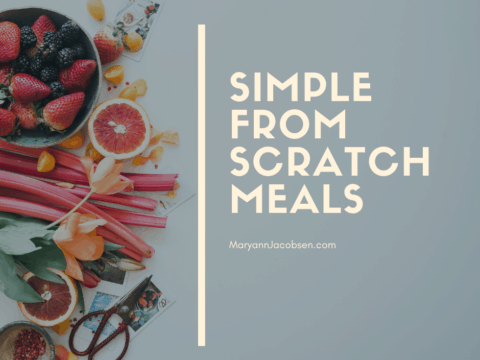 You’ll find a plethora of strategies to neutralize the power of goodies, make nutrition more rewarding, and eating an enjoyable experience for the whole family. Principle 6 centers on teaching children body appreciation. According to the AAP, half of teenage girls and one-quarter of boys are dissatisfied with their bodies, and body dissatisfaction increases the risk of unhealthy weight control behaviors. You’ll learn how to teach children to care for their bodies instead of focusing on weight and looks. It also helps you have much-needed conversations about size diversity, weight stigma, and the media’s Thin Ideal. 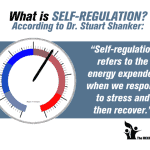 The last two principles, 7 and 8, deal with stress management and staying connected to kids. These are the most overlooked reasons kids act out with food. Parents don’t always realize that when tension rises due to food or other problems, it can create an invisible wedge between them and their child. This can actually drive the child deeper into their problematic behavior. Finding ways to deal with stress, connect with children, and communicate effectively can go a long way. Strong family bonds are also good for everyone’s health! The 8 principles in the book are designed to help you raise a mindful eater, someone who eats for nourishment and enjoyment, listens to their body, and naturally eats in moderation. Whether you’re looking to prevent eating problems or find resolution (or both), this book has everything you need. I also have a new edition of From Picky to Powerful available, with two new chapters. Over the last two years, I’ve gotten requests for a print version so now that’s available for just $8.99, along with the e-book. Thanks for sticking with me this year through all the changes. I have amazing things planned for 2017. To stay in the know on new offers and posts, sign up for my email newsletter. I devoured (haha) your book. I’m about to re-read it again to really understand everything. How do you handle sugar type toppings on breakfasts? Specifically maple syrup/ honey/ brown sugar on oatmeal or yogurt or pancakes? Or butter on pancakes? We’ve been limiting these becusse my 3 year old would want 90% maple syrup, 10% oatmeal. And a stick of butter. I’m really trying to take a leap of faith and follow your plan but it’s definitely scary and I’m not sure how to handle this. Please let me know!! I want to start your plan. I think if you offer it, you should allow them to use toppings as they see fit. If you feel uncomfortable, then don’t offer the toppings at all. It’s difficult to keep a 3-year old to only using a little syrup. So maybe for now you only serve pancakes once a week, or some other frequency you feel comfortable with. Does she have a fit when you limit? Yes, she has a fit.. and we do only have pancakes about once a week- but we have unsweetened Greek yogurt with fruit, or steel cut oatmeal for breakfast almost every other day, and we all like to have a little sweetener on top. Usually honey or maple syrup. I don’t think I can ask her to have unsweetened greek yogurt or oatmeal when we don’t do that ourselves. Any advice in this case? Also, perhaps I missed it in the books but what about seconds at snack time? Then I would allow her to add what she wants with reminders about taking it easy. If you’ve been limiting her she might overdo it for a while but once she understands she can have as much as she wants, this should lessen. Principle 2 is about allowing hunger and fullness to guide eating. So is she is still hungry then yes, she should have more. I usually don’t prelate snacks but put food out and let kids put it on their plate themselves. Remember to always refer to hunger and fullness when offering more or she’s asking for more. I call it intake coaching. I offer subscribers free 15-minute consults. If you are interested email me at raisehealthyeaters@gmail.com. Remember you are teaching her to trust herself around food. You provide the limits and she gets freedom at those meals.